Mark Reed-Edwards found the perfect timing, right after ARInsights‘ forum in Boston, to ask me about the misunderstandings and options within analyst relations. 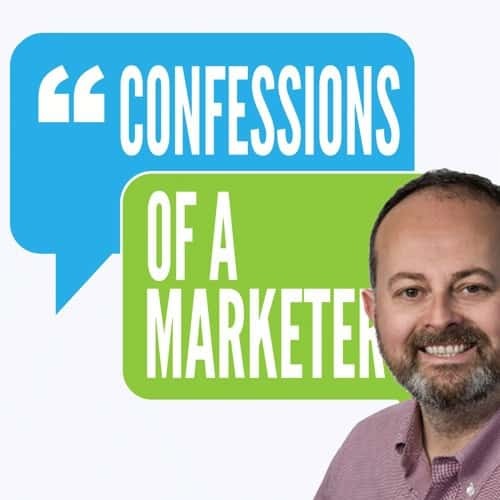 In the first of two ‘Confessions of a Marketer‘ podcasts with Mark, I explain the roots of the pay to play myth: that all analysts will say better things about you if you pay them more. It’s understandable that vendor’s get that idea, since analysts salespeople often give the impression that life will be easier for vendors if they spend more. Certainly, there are bad analysts, but their reach is limited, especially in the period of social media where it’s the best content that gets shared. Mark’s worked with and around analyst firms for decades, and he spotlights the way in which the diffusion of analyst insight has expanded. More analyst firms are lowering paywalls have slipped. Freemium research is being consumed much more widely, primarily by the line-of-business managers who are often denied research access granted to CIOs. In the podcast, Mark and I how the subscription model, which used to be the archetype for analyst firms, has been supplemented. Now a much more comprehensive range of business models exists, and hyper-specialised analysts can reach broader audiences. In the first, I also explain some of the issues I had as an analyst. I had some misunderstandings, especially when I left that vendors’ spokespeople were misleading me. Sometimes, marketing people didn’t know their solutions very well or what else that was on the market and I didn’t understand why that was. I assumed they were intentionally trying to mislead, but actually, their knowledge was more limited and uneven than they suspected. Furthermore, as the ARInsights forum reminded me, even some of the world’s largest companies have AR teams that have surprisingly limited access to some of the human or material resources they need to do their work. When I was an analyst, I would have suspected that the vendor must have been actively concealing terrible truths. These misunderstandings mean that, although great analyst relations has just two key factors, few firms are truely excellent at AR. First, great AR is about understanding the analysts’ interests and then coming into the conversation with that understanding. Second, hardly anyone does that, and you can build momentum more quickly by supplying the information that your competitors will not. Josh Bernoff, who spoke at a dinner I hosted on the eve of the ARInsights forum, shared his experience of how very few of the tens of thousands of press releases vendors sent him during his decades at Forrester were even passingly of importance to him. Those comments perhaps show why excellent AR is a company-wide activity, not just those in AR. Analysts need relevant and digestible information, and few AR people can supply only that to analysts. AR teams often work oppositely: they start from what their firm is selling, rather than putting that in the content of the analysts’ research. Analysts base their research programs on clients needs, and curiously few vendors seem to start from the same point. Vendors, for example, talk little about perennial problems and don’t use case studies enough. At the risk of paraphrasing Kevin Lucas, one of the critical tasks for AR is placing the responsibility for AR success onto the rest of the business. That isn’t just about blame avoidance, but about explaining to the company how it will be more successful if it engages with the right analysts in the right way. Businesspeople, especially salespeople, are cautious about sharing too much information with the analysts. As a result, some AR people are a little distant from business realities. AR is not just about serving up information and organising briefings, but starting from the individual analyst’s research agenda. Helping analysts requires you to read their research, and convincing your colleagues that they should co-operate with getting the right information into the hands of AR people, and thus into the hands of the analysts. By doing that, AR can start a flow of good news about AR, making the colleagues who support AR seem like heroes in the firm’s internal discourse. In the second podcast, I drill more into the perfect pitch to analysts. Have a listen to the rest of the episodes and subscribe in Google Play https://goo.gl/xBuXid or iTunes https://goo.gl/mik5r9. This entry was posted in 3. Engage & Influence, Cornerstone. Bookmark the permalink.